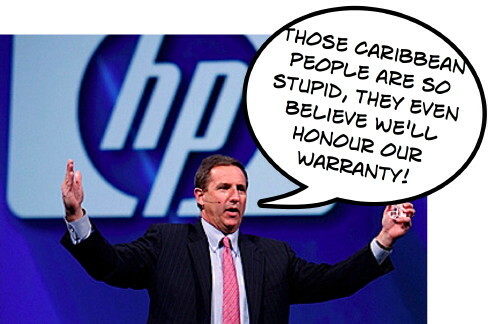 Costly Lesson For Caribbean Businesses: HP Hewlett-Packard Products Have No Warranty In Barbados – How About In Your Country? First issue: the person involved with the complaint about the HP Printer Warranty as described in the attached letter eventually received satisfaction from HP. Given that HP have just opened a new store in Sheraton Centre (nice bit of reporting on that at Barbados Today 11/11/10 edition), does this warranty issue and the 15 day guarantee still apply? What is warranty and return policy of the new HP Store? If HP wants to leave a comment or send us an email (barbadosfreepress@yahoo.com) we’ll be happy to give it fair exposure right here at the top. Thanks to BFP reader Politically Tired for letting us know about a proposed settlement in the HP Hewlett-Packard LaserJet case. Scottish Sugar Slaves In Barbados vs. African Slave Trade: Do Mr. & Mrs. Bourne Want To Forget or Remember? Depending upon the source, history records that President George Washington brought seven to nine of his family’s several hundred slaves to New York City in 1789 to work in the first presidential household. One of the presidential slaves was a biracial young lady named Oney Judge – the daughter of Betty, a “negress” slave without a last name, and Andrew Judge, a white English indentured servant at Washington’s Mount Vernon plantation. 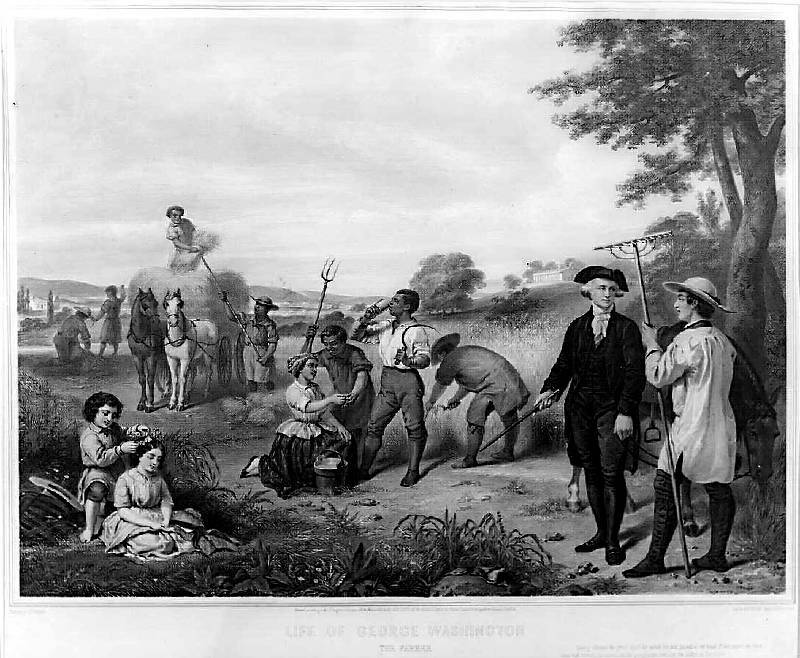 When the presidential household moved to Pennsylvania in 1790, Washington illegally had his slaves rotated out of state every so often so they would not be freed under the Gradual Abolition Act – that prohibited non-residents from keeping slaves in Pennsylvania for periods longer than six months and freed slaves after this time. In summer of 1796, the slave Oney Judge learned that she was to be given away as a present by First Lady Washington to her granddaughter, Eliza Custis. Oney then made up her mind to escape and she did so through the underground railroad and ended up in New Hampshire. You can read about her life and times at Wikipedia’s article on Oney Judge. Which is all to remind us that when George Washington visited Barbados in 1751, and until he died in 1799, he owned other human beings as his property. Again, depending upon the source, history records that George and Martha Washington owned several hundred slaves between them. Although he had the power to free his slaves, George Washington did not do so. Even upon his death he only freed one slave, William Lee. The rest were given to his wife for further use. How Much History Is Too Much? How Little Is Not Enough? We were intrigued by an article and lively discussion taking place at Ian Bourne’s The Bajan Reporter blog. It seems that when Ian and his wife visited George Washington House in Barbados, they thought the slavery exhibit at the home was a bit overdone and at the same time incomplete in that it did not document the plight of non-African slaves and indentured servants. For our part, we think that Mr. and Mrs. Bourne are right and wrong about the slavery presentation at George Washington House. We think that the home is quite a proper place for a display about slavery – African, white, transported and indentured. But we also agree that for too long historians and Bajans have focused primarily upon the African slave trade to the exclusion of other areas of our slave history. As an aside, we saw back in May that Planet Barbados published an excellent little piece on the Scots who were “Barbado’ed” as supposedly indentured workers – meaning slaves with a time to serve – but ended up being slaves who were never released. See Planet Barbados: Giving Voice to the Sad History of the “Redlegs” of Barbados.